Loeb Blog Covers Newark Riverfront Revival Mega Poster Release Party! This entry was posted in Uncategorized on April 24, 2015 by riverfrontcoordinator. Join Project U.S.E. for the 8th Annual Newark Boat Launch at Riverfront Park! Join Newark Riverfront Revival, Students, Teachers, Families and Friends and Project U.S.E. 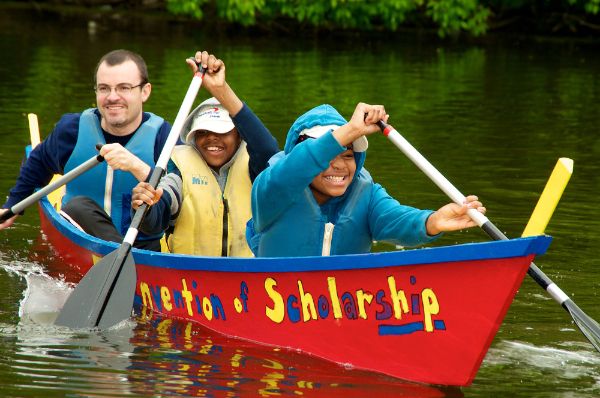 for the 8th Annual Newark Boat Launch of the Newark Fleet at Riverfront Park on Saturday, May 16th at 10am as students from 6 Newark Schools launch the boats that they designed and built with Project U.S.E. over the past 12 weeks. This entry was posted in Uncategorized on April 21, 2015 by riverfrontcoordinator. 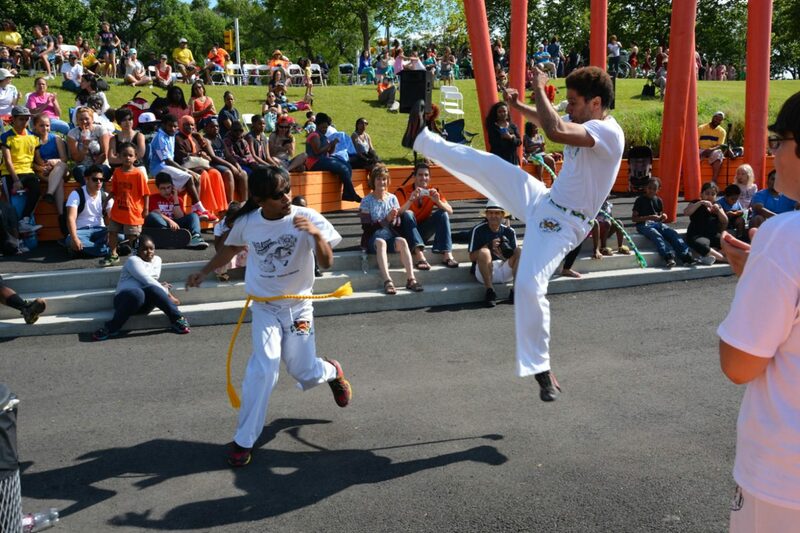 Tonight (4/16) – Friends of the Riverfront Meeting and Public Preview of Riverfront Park 2015 Calendar! 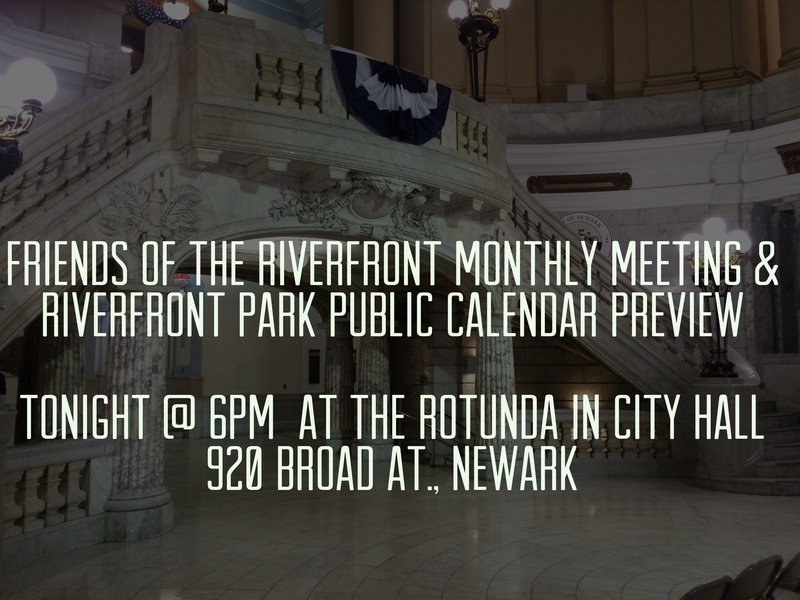 Join us tonight, April 16th at 6pm at the Rotunda in Newark City Hall, located at 920 Broad Street, Newark, NJ for the monthly “Friends of the Riverfront” meeting and Public Preview of Riverfront Park’s Summer 2015 Calendar! Make your voice heard tonight and be a part of the movement to reclaim our River! This entry was posted in Uncategorized on April 16, 2015 by riverfrontcoordinator. Join Us for the Mega Poster Release Party @ Aljira on 4/14! Newark Riverfront Revival is excited to announce the release of our Mega Poster! To celebrate the release, Aljira, a Center for Contemporary Art and Friends of the Riverfront are hosting a fundraising party at their gallery located at 591 Broad Street, Newark, NJ on Tuesday, April 14th, from 6-8pm. Sounds will be provided by DJ Gonzalo Silva and refreshments will be sponsored by Gallery Aferro. Mega Posters will be on sale for $3 and additional donations are welcomed. Help us reach our goal of putting a poster in every Newark school and connecting every Newarker to their River! Learn more about Riverfront Park, Newark Riverfront Revival, Friends of the Riverfront and our partners by visiting our website atnewarkriverfront.org,and signing up for our email list, following on Twitter, liking on Facebook & talking with your friends & neighbors about our river. This entry was posted in Uncategorized on April 7, 2015 by riverfrontcoordinator.